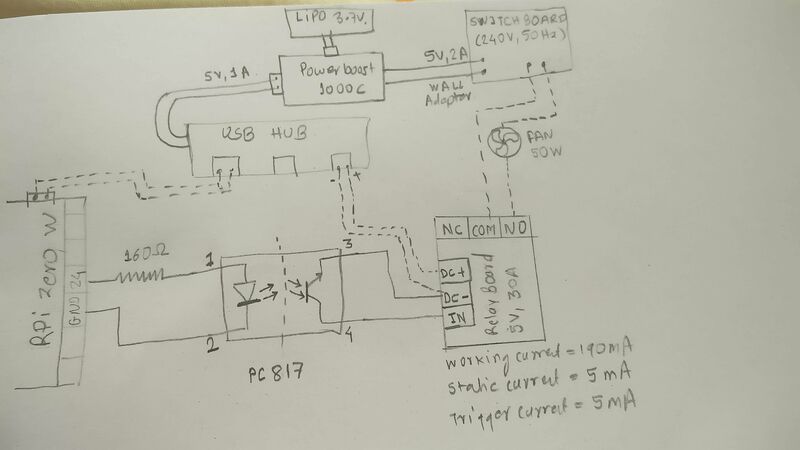 attached the sketch of my setup with PC817. Since i am using USB hub, will it still qualify as separate power supply for relay board? Without the fan's connected to the relay, do you have the same problem? No. Without fan relay board works fine.